Our schools offer the Royal Academy of Dance Ballet. The R.A.D. is based in London, England and is the largest examining and teacher education organization for ballet in the world and is offered in over 84 countries. The classes offered begin with pre-primary ballet for children aged 5 ½ and older, primary for children aged 7 and older, grade 1 ballet ages 8-10 and so on. The grades of ballet do not follow the same ages as public school grades. 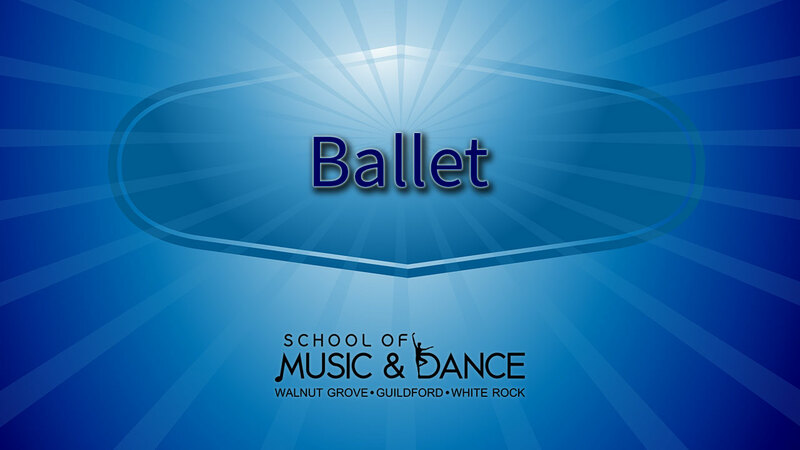 Our office staff can assist in selecting the proper class for a beginning ballet student in our Surrey (Guildford), Langley (Walnut Grove) and White Rock locations. We also offer teen and adult recreational ballet for students who have not taken ballet as younger children and who wish to take ballet without following a syllabus. Here is a short video of a ballet dance class.